Have You Cancel Your Credit Cards? How many Credit Card that You Intend to Keep? 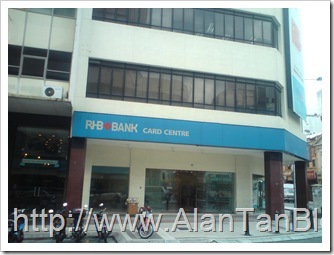 I went to RHB Card Centre to cancel my RHB Credit Cards today. The officer advised me to maintain the Credit Cards as it is due for RM50 Service Tax only on December 2010. Then, I ask about the Annual Fee which was due on December 2009 and she immediately waive it for me without any question ask. By the way, I hardly use this RHB Credit Cards. Look like in this case, the bank is Not Strict with the Credit Card Annual Fee. Read How Crazy Lucrative Credit Card Business Is at How to get the Lowest Credit Card Interest Rate in the Country? When you Cancelled your Credit Cards, please MAKE sure you Get Written Confirmation! I cancel my OCBC Credit Cards via Phone last week. Many banks in Malaysia are strategising to help customers pay the government service tax on credit cards effective Jan 1, 2010. A random survey by StarBiz found that the banks are willing to allow customers to utilise their points collected to help pay the tax charge. Other banks have also said that consumers could easily offset the tax with the many cash rebates offered with their credit cards. The Government had announced in Budget 2010 that an annual service tax of RM50 will be imposed for each principal credit card and RM25 for each supplementary card, in an effort to encourage prudent spending. HSBC Bank Malaysia Bhd general manager for personal financial services Lim Eng Seong said HSBC would be charging the RM50 service tax. “However, our cardholders have the option to redeem (the service tax) using their points,” he told StarBiz. “Furthermore, the credit card industry as a whole has come to a consensus that this tax will be borne by the cardholders and not the banks,” he added. A spokesperson from Standard Chartered Bank Malaysia Bhd also confirmed that its customers could also opt to use their reward points to redeem their service tax. “Our bank will continue to find ways of rewarding loyal customers through discounts and promotions so that they can see more value in keeping and using Standard Chartered credit cards,” the spokesperson added. Besides HSBC and Standard Chartered, checks by StarBiz revealed that EON Bank Bhd, CIMB Bank Bhd and Alliance Bank Malaysia Bhd have also provided for its cardholders the option to redeem the tax by using their points. These banks are offering their principal cardholders the option to offset the RM50 service tax charge using 10,000 bonus points. As for supplementary cardholders, the banks have offered to offset the RM25 service tax charge using 5,000 bonus points. Public Bank Bhd and OCBC Bank (M) Bhd have said in the survey by StarBiz that their cardholders could use the many cash rebates and bonuses received to offset the credit card tax. But a spokesperson with Bank Rakyat Bhd said the bank was still reviewing how it would react to the credit card tax charges. Early last week, Bank Islam Malaysia Bhd (BIMB) announced that it would not “cover” the proposed service tax on credit cards, saying it already had enough incentives for its credit card customers. It is the second bank to announce this after Malayan Banking Bhd. The survey by StarBiz also revealed that RHB Bank Bhd would not “cover” the proposed service tax for its customers. In a statement yesterday, the Association of Banks in Malaysia (ABM) reiterated that banks and other card issuers were allowed to enter into arrangements where cardholders might apply for redemption, reward points or rebates that they earned through using their cards for the payment of the service tax. “Member banks and other card issuers will be contacting their cardholders in respect of the imposition of the service tax,” the statement said. ABM also confirmed that the service tax becomes chargeable at the time when the credit card or charge card is issued, on the anniversary date or upon renewal. “For example, if a credit card or charge card is issued to a new cardholder on Jan 10, 2010 with a validity period of a year expiring on Jan 9, 2011, a service tax of RM50 would be chargeable on Jan 10, 2010, the date of issue of the card,” the statement said. If a credit card or charge card is issued to a new cardholder on March 8, 2010 with a validity period of five years expiring on March 7, 2015, a service tax of RM50 would be chargeable on March 8, 2010, the date of issue of the card and on every subsequent anniversary date, that is March 8, 2011; 2012; 2013 and 2014, according to ABM’s statement. For existing cardholders, for cards issued on May 18, 2008 with a validity period of five years and expiring on May 17, 2013, no service tax would be charged on its anniversary date of May 18, 2009 in view of the fact that imposition of service tax will only be effective Jan 1, 2010. “A service tax of RM50 will, however, be charged respectively on May 18, 2010; 2011 and 2012,” ABM said. In the event a credit card or charge card is upgraded (such as in the case of a Classic card to a Gold card) or downgraded (such as in the case of a Gold card to a Classic card) or converted (such as in the case of an Islamic card to a conventional card, or a co-branded card to a generic card, or vice versa) or reinstated (such as in the case of a cancelled card), the service tax will be charged on the new cards issued unless the anniversary dates of the previous and the new cards are the same, according to ABM. This entry was posted on Thursday, December 31st, 2009 at 10:06 pm	and is filed under Credit Card. You can follow any responses to this entry through the RSS 2.0 feed. Both comments and pings are currently closed. AmBank (Malaysia) Bhd has introduced two credit limits to help its card members better manage their finances and reduce their credit card tax. One credit limit is used for daily spending while the other credit limit of up to RM50,000 is used exclusively to consolidate all outstanding balances from other credit cards, the bank said in a statement yesterday. This will allow card members to manage their finances with only one card, and thus pay credit card tax for only one card, it said. The government imposed a service tax of RM50 for each main credit and charge card, and RM25 on supplementary cards, effective Jan 1 this year. According to AmBank, its card members can also offset their credit card tax through cash redemption with the accumulation of 5,000 reward points. “Card members enjoy greater value when they choose to do a balance transfer with AmBank’s second credit limit. They get to take home a guaranteed gift from a selection of exciting electronic gadgets and RM50 cash rebate,” said retail banking managing director Datuk Mohamed Azmi Mahmood. Card members may also pay for retail purchases in monthly installments with AmFlexi Pay, allowing them to save on interest while stretching their ringgit for more important matters, said the bank. Other credit card perks are discounts and privileges for dining, travelling and shopping. The AmBank platinum and gold credit cards with two limits are now available to both existing and new card members. Moreover, new card members are also offered cash rebates of up to 10% for insurance and grocery transactions and 5% cash rebates for other retail transactions. POWER up the new year with more savings through MBF Cards “Power Balance Transfer” campaign that offers exclusive long-term benefits to its principal card holders who transfer their credit balance to MBF cards during the promotional period. “In the current economically challenging environment, our approach is to offer real value-added services to benefit consumers for the long haul,” said MBF Cards senior vice president Rajjish Verronn. He said through the campaign, MBF Cards hopes to add holiday cheer for consumers while promoting an increase in its retail sales. The unique campaign allows MBF credit card holders to transfer their outstanding balance from other credit cards to MBF Cards and enjoy zero interest for 12 months by maintaining the approved balance transfer amount for a full year. MBF’s “revolving credit at 0% for 12 months” is a credit facility that allows credit card holders the flexibility to use, repay partially or in full, and reuse that credit over a period of 12 months at 0% interest. The 0% interest on the revolving credit amount capped at RM7,500 with a minimum monthly transaction of RM300 applies after deduction of 5% minimum monthly credit card payment. If the approved balance transfer amount is more than RM7,500, MBF Cards’ prevailing interest rate will apply to the amount in excess of RM7,500. Cash advance transactions are excluded from the revolving credit amount at 0% interest and is subject to cash advance fee and the prevailing interest rate calculated from the day of cash disbursement. MBF card holders will also receive an immediate savings of RM1,200 upon approval of their balance transfer with a waiver of the RM50 government service tax and no processing fee. The MBF Power Balance Transfer campaign is valid from now until the end of February. I don’t even have RHB credit card and they issued me letter to pay for the credit card + a supplementary card. What a loser! 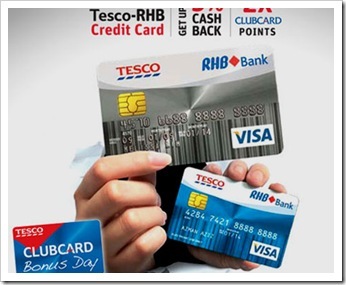 Have you call RHB credit card?